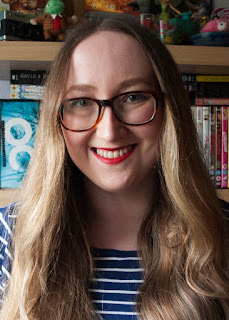 Anastasia Gammon: P.S. I Still Love You review. Lara Jean is in love. Really and truly, head over heels for the first time. But her most romantic and private moment turns out not to have been as private as she thought. A video of her and Peter in a compromising position has somehow made its way onto the internet. Lara Jean is mortified and she knows exactly who did it. The only problem is that Peter doesn't seem to believe her. And on top of all that, another boy from Lara Jean's past has finally received his letter. Remember when I said I would write a love letter to the first book in this series? Well it looks like I'm going to need a hatbox for all my letters too because I loved this book even more than the last one. P.S. I Still Love You has everything I loved from To All the Boys I've Loved Before and even more to love besides. I'm obsessed. I can't believe I have to wait until 2017 for the next book. I don't know how I'll go on! I love when YA books deal with online problems. Those are real problems that teens face now and yet the internet barely seems to exist in YA sometimes but it definitely exists in this story. Someone at Lara Jean's school is pulling a total Gossip Girl (nostalgia, am I right?) and posting anonymous embarrassing photos and videos of students online under the name Anonybitch. Including a video of Lara Jean and Peter in a moment that Lara Jean most definitely does not want the world to see. 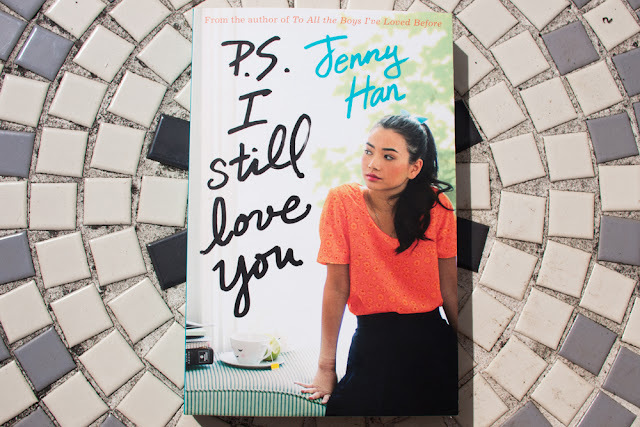 It was great to see something like this explored, awful as it was for poor Lara Jean, and I'm really glad that Jenny Han went there. The other big element of this book is that Lara Jean's last unaccounted for letter has been received. Which, of course, inevitably means that there are two boys in Lara Jean's life again. This time around the love triangle is so much better though. Really my only complaint about the first book was that Josh never really felt like an actual contender. That is so not a problem with this new love triangle. Both of the boys this time were great characters and this is honestly one of the few books I've read where I knew the whole way through that whichever boy got picked in the end, I would be happy and also a little bit sad. There are more excellent moments with Lara Jean's family and this time round her friends get a little more of a look in and we get to see my new favourite character: Stormy. Stormy is a lady who lives at the retirement home where Lara Jean works and she is everything I aspire to be in my old age. Overall I just kind of thought this book was perfect. If you like contemporary YA romance then I can't recommend this series highly enough. I want the third book now!